Found the nappies great, comparing well so far to my previous used pampers. Delighted. 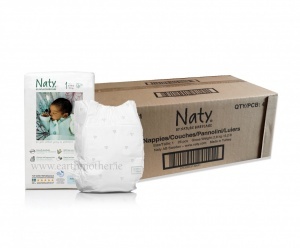 I have been using the Naty Nappies for a good few months now and think they are great. There's no problems with leakage, no nappy rash and no chemical smell that you get in a lot of other nappies. Would definitely recommend! These nappies are a great fit on my son, very soft and absorbent. Great price too! Have used the more commercial nappies and well known brands and theses nappies are just as good. Can last the night without leaks. 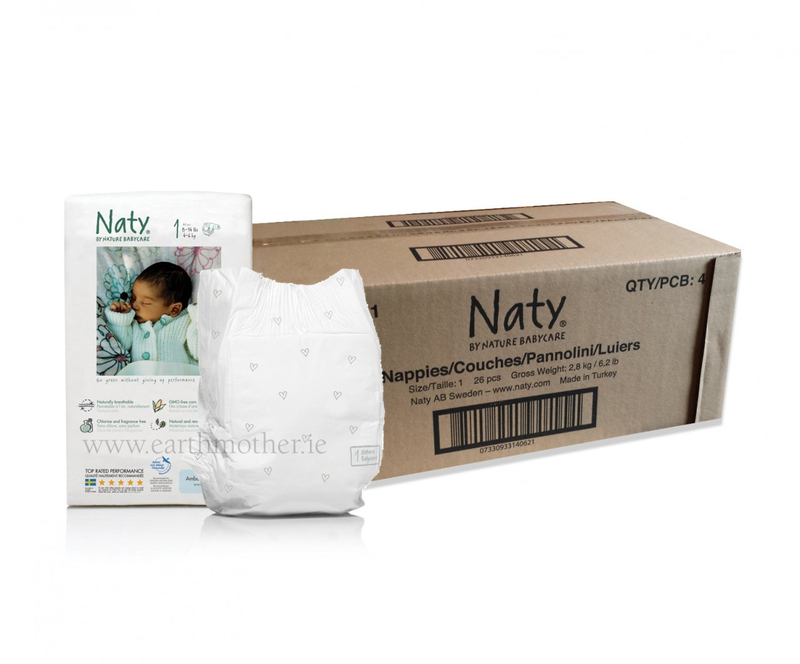 Our little one and we are super happy with Naty nappies which are very absorbing and kind to baby skin. And we love the fact that 60% of the material of the nappy is compostable. We found the nsppiesvery big for our baby girl they seemed huge underneath her clothes however they were did hold a lot but leaked at night time. We are trying bamboo now. Excellent nappies, breathable which is great but I love that they don't contain chemicals. I feel much happier about my baby being organic. They are also degradable and environmentally friendly. I really like to use the Beaming Baby nappy sacks. First of all, they are 100% bio-degradable, they come in a solid package and are easy to pull out. Secondly, I love the subtle fragrance, which becomes very important once your little one starts on solids. Really good service and product! Delivery also really quick and efficient! Definitely appreciated earthmother treatment!nappies are comfortable and well fitted to the shape and size of my baby! They are also delicate on the skin and absorbent!